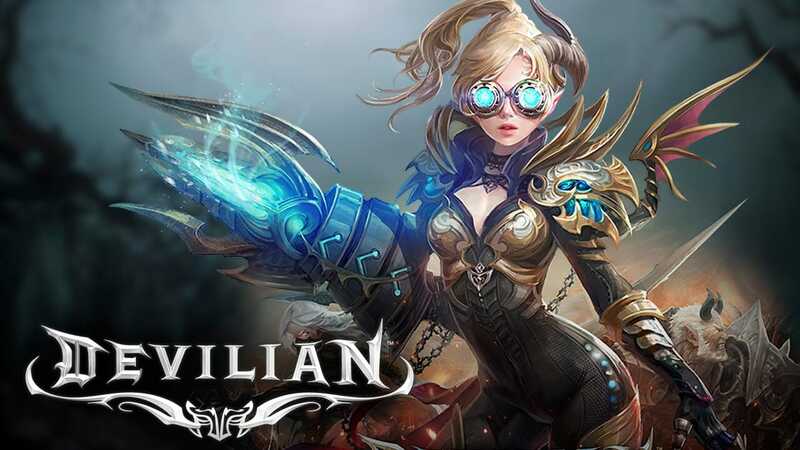 Devilian Online – Worth to Play? Currently, there are 5 gender-locked classes. These are Berserker, Canonneer, Evoker, Shadow Hunter, and Tempest (Latest). Both have its own unique specialties. The Berserkeris basically the tank in the game, he is a strong, agile, and very powerful melee class. If you want a tank in the PVP, then you might want to get him. The Evoker is a wizard or a ranged class, she is particularly good on AOE attacks that debuff several enemies at once, very powerful support. The Canonneer is also a ranged class unit, which is good for those who can optimize her skills. To use her in his fullest, you have to be good at avoiding attacks, while doing your skills. The Shadow Hunter is a versatile melee class that can also be ranged, he is a very sneaky class and can use invisibility as his skill. The Tempest, I have not really seen gameplay for this character, but she is basically a female Shadow Hunter, if not better on some categories. You cannot get her unless you paid $14.99 in the market. One of the unique features of Devilian is its Devilian form, all classes can transform into one. They are basically transformation and use different experience level, skills, and almost nothing alike with their normal human counterpart. However, there is a time limit to use them, so use them wisely. Filling the Devilian gauge may take a while, so better use them for bosses only. If you are expecting to create a unique character here, do not bother. This is one of the most shallow character creation in recent years. Everything is preset, and the only colors you change are your eyes and hair. Your Devilian form cannot be customized, either, it is a shame as it seems to be a great opportunity to have a deep character creation But it failed miserably on that department, especially when most MMO today have at least sliders and other stuff you can do in your character creation. This is really disappointing. The graphics look good, but sometimes, it does not. You can definitely see that this game had been released a few years prior. Enemy models look good enough, and you only see them where you are, so each area almost has different enemies. But after a while, you would just see recycles of them in some areas too. Not that it matters though. Player models, as mentioned above, are subpar, so do not expect to stand out among others because once in a while, you will see someone that looks like you. Armor and weapons look identical most of the time. The animation is okay, but not really great. But once you hit combos, it is satisfying to watch, especially when you are hoarded by several enemies. Gameplay – Diablo 3 meets Tera? Devilian is an Action MMORPG, the gameplay itself is not bad. Actually, the combat system is one of its strongest points, and it makes the game a whole lot easier. Grinding has never been this much satisfying to do. There is also no challenge whatsoever unless you get the attention of many enemies stronger than you, that is the only thing you will die in the game. The quests, on the other hand, are the most boring ones I have seen. It is basically the same thing over and over again. It never changes at all. Good thing there is an autorun feature for the game, it makes the game a whole lot less boring, and more into action. There are instanced dungeon you can play solo or group. In some place, you can easily find partners for dungeon crawling, but most of the time, you will be doing it sol. It is linear and easy. You can easily finish it within 15 minutes. Most dungeons look aesthetically the same. Boss battles on each dungeon are fun (same with the quest bosses), though sometimes I am mistaking another cool enemy to the real boss. Loots drops are plenty so you can sell them a lot for coins. Better armors and weapons usually pop up every once in a while. PVP feels like MOBA, probably because of its camera view. But truly it is just your generic PVP, wherein you have to capture points and win. Sadly, the PVP is very imbalance right now. If you are using melee, then chances are, you are dead within minutes because of the Evoker and Canonneer combo. They already nerfed it somehow, but it is still very hard to play as a melee class. Talisman is another unique feature of Devilian. It is a card system, which you can craft to put buffs on your characters. It is a nice touch, and definitely helpful for your journey in the world of Devilian. You can also combine cards to make a stronger card, but looking for items so you can craft talisman is pretty rare to find, so stock up with cards until you find the best talisman for you. The atmosphere and ambiance of the game fit well for each other. It is polished enough and sounds nice for the most part in Devilian. There is nothing really negative or positive to say about it. + Talisman is a nice feature. – Trion Worlds is scarred by greedy reputations. So those are the pros and cons of Devilian! It is a decent game at first, but it gets tedious after you realize the game is not really the great and the quest system is horrible. Still, it is a fun game to place in short bursts.